ABCmouse.com’s online kindergarten children’s games include an extensive collection of online kindergarten reading games and online kindergarten math games, through which children can practice several different types of reading skills, including phonics and word recognition, and a range of math skills, such as counting by tens, pattern recognition, and telling time. Other games support learning in the subject areas of beginning science, social studies, art and music. 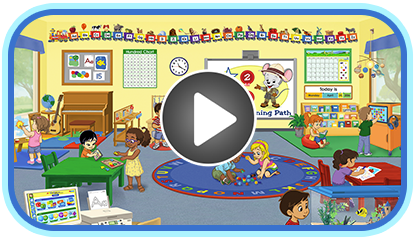 As with all learning activities on ABCmouse.com, every game on the site has specific learning objectives appropriate for early learners. This way, every game your child plays will help to strengthen his or her educational basics in one of these essential core curriculum subjects.